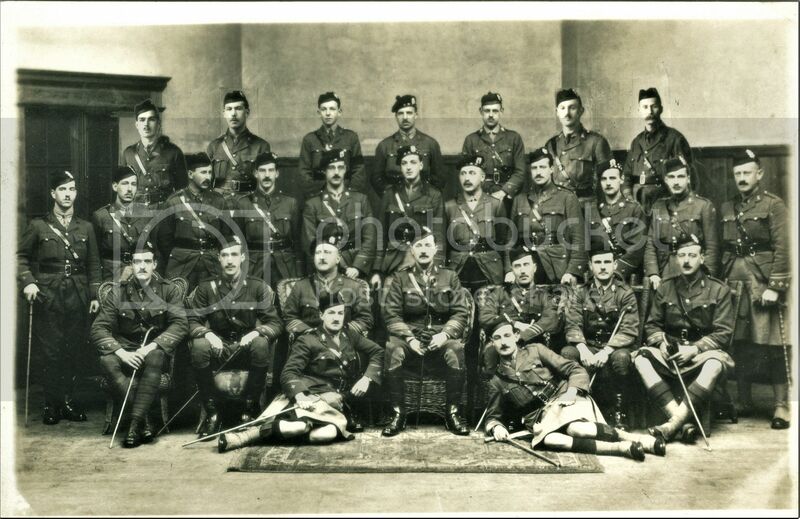 A mixed group of Black Watch Territorial officers, 5 Transvaal Scottish officers and 2 others. The small close up is the regiment I am trying to identify. Is that a V under his collar badge? Could it be Cape Town Highlanders? Last edited by rmarsden; 24-04-17 at 11:30 AM. Would it not be a T for Territorial? Regards, Paul. I think Wardog is probably right, a T for territorial. If it was CTH he'd probably have had a diced glengarry as per what the Gordons wore. 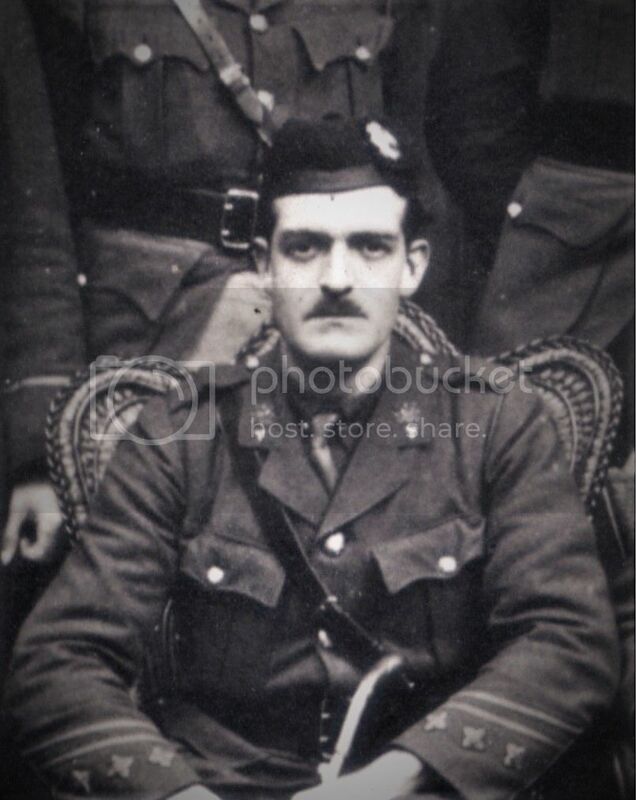 The badge size looks like either Royal Scots or HLI but the collar looks like it could be HLI. 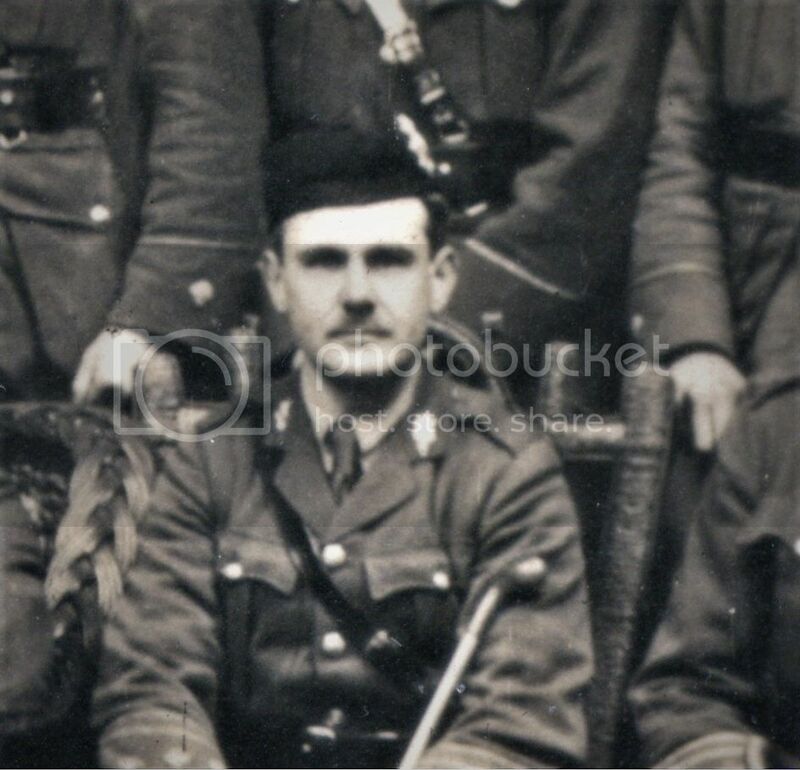 That would also explain why he's wearing trousers and not a kilt as the HLI wore trews. The man standing 4th from the left, middle row, appears to have the same collar badges with the T below. Any chance of a close up of the man seated 2nd from right please. His collar badges seem to be unique in the photo? Thanks guys, it's obvious to me now they are Ts. The 1st & 2nd did not wear colllars in WW1. Alex, this is the man you asked about. Its a T under St. Andrew collar badge.